Learning management systems didn’t die. They evolved, and today we recognize them. Corporate LMSs were invented almost 30 years ago to manage and report on the training and compliance of their employees and contractors. They were expensive to purchase, implement, maintain, host, upgrade and replace. Much of the investment was upfront and only the largest companies or companies with the most compliance risk exposure could afford an LMS. Every LMS tried to be all things to all types of customers in all industries. The field of competitors for the first 15 years or so was limited to an evolving 12-15 viable yet dismally average, bloated solutions. The LMS market started changing after the dot com bust in 2001. LMS companies (and many software companies) were top heavy, poorly run organizations and the strong gobbled up the weak. A steady flurry of acquisitions disrupted customers’ lives but never the market as a whole. Innovation was stagnant and most vendor effort was invested in stealing customers from one another. Starting around 2010, the market began changing again. LMS and performance management companies started merging and then the big HR/talent players acquired them. SAP acquired SuccessFactors who had acquired Plateau. Oracle acquired Taleo who had acquired Learn.com and the list goes on. LMS innovation was stifled yet again and innumerable customers became lost in the bureaucracy of behemoth software companies. To save the day the cloud was invented and with it the significant fiscal barriers of entry for new LMS providers were removed. The cloud enables new LMS vendors to create and support one product that all customers use providing economies of scale in research, customer support and required investment capital. Over the last five years, new LMS companies have poured into the marketplace filling an obvious need of customer service and targeted business solutions. The cloud LMSs provide learning management to the masses. Cloud LMS solutions are easy-to-use, modern, mobile, social and incredibly affordable. Now small businesses and even individuals can easily and rapidly get going. Many cloud LMSs have “free trials” that provide instant access to their solution directly from their website providing the opportunity to test out use cases. The LMS industry in 2015 now has hundreds and hundreds of viable vendor solutions. The good news is there is an LMS for every need, industry and budget. The bad news is there is an LMS for every need, industry and budget. It costs at least$1500 for an organization to qualify a LMS vendor and even figuring out where to start the process makes calculus seem easy. We founded Talented Learning, an independent learning technology research firm, to figure it all out for buyers and sellers. Our mission is to map the LMS world. We’ve spent the last two years going LMS vendor by LMS vendor and identifying who they are, what they do, who they sell to and why they are unique. We read the publicly available information, talk directly with vendor executives, receive product briefings, attend deep-dive product demonstrations, test-drive learning applications and even interview customers. We ask vendors to respond to standardized, in-depth surveys that focus on hundreds of business, technical and functional data points. In the last 20 months, we have reviewed 103 LMSs. We also have the advantage of running the LMS selection process for dozens of buyers, and have broad access to vendor data, customer stories and experiences. Prior to co-founding Talented Learning, I sold LMSs for 13 years and generated over $50,000,000 in revenue. All of this experience and research was factored into our Talented Learning 2015 LMS Vendor Award rankings and market categorization. We didn’t take this task lightly. Here are the best of the LMS best. Before releasing any rankings or awards, we first needed to determine what types of LMSs existed in the marketplace so that the awards were relevant and helpful to LMS buyers. We discovered that the LMS marketplace is made up of 4 broad types of LMS including corporate, academic, continuing education and association LMSs. All four groups share some functionality but contain special functionality and experience not required in the other areas. The corporate LMS market is further fractured into LMSs that focus on employee compliance, talent management, channel (partner, dealer or franchise) and customers learning applications. Some corporate LMSs can do it all (all-purpose corporate LMSs) but many focus on just employee or external applications. The hottest area of innovation in all groups are the ecommerce features and functions to support sale of content to their audiences – also called extended enterprise learning. Corporations are selling content and certifications to their channel partners and customers. Academic institutions are selling college courses to remote global audiences. Associations are selling content to their members and continuing education training providers are selling content to anyone. Continuing education, associations and universities are all selling their content to corporations. And without further ado, here are the best of the best LMS vendors in the world in 11 categories. All LMS vendors in this category are capable and focused on supporting all aspects of the learning inside and outside an organization. Vendors are able to be used for any combination of employees, channel, dealers, partners, customers and prospects. All-purpose corporate LMSs have considerable administrative configuration, domain and audience segmentation, globalization, ecommerce, ILT management, online learning management, reporting and integration capabilities. If an organization educates and certifies their external sales channel, they will experience increased sales, new streams of revenue and increased customer satisfaction. Every time. All LMS vendors on this list actively promote channel learning on their website with product offerings, case studies, webinars, and client testimonials. The nominated solutions have varying degrees of sophistication in core channel functionality including domain segmentation, e-commerce, social learning, globalization, broad content support, mobile readiness and ease of use. Channel & partner LMSs have strong integration and shared workflow capabilities with dealer management, incentive management, ecommerce, order fulfillment, CRM and ERPs. The vendors on this list (and other award categories) range from self-service free-trial LMSs to comprehensive heavy-duty enterprise-class solution providers. Most LMS vendors will say they are good for customers, but true customer LMSs are unique. Customer LMSs could be called “Learning Marketing Systems” because there is a deep level capability that typically resides in marketing – not training departments. Customer LMSs have to be super easy to use for customers and resemble Facebook more than a database. You can’t get away from where LMSs started. Employee and contractor compliance is a big problem for many organizations. Federal and state and local jurisdictions enact training, safety and harassment regulations and then audit for compliance. Non-compliance results in penalties and fines. The more jurisdictions an organization does business within, the bigger the compliance management challenges they have. Continuing education LMSs are targeting training companies of all types. Countless for-profit training companies create, deliver and manage accredited content for certain industries and regions in a CE LMS. Whether they’re traditional training companies with instructors, brick and mortar facilities or whether they are new school training companies focused purely on ecommerce and online content. The products in this group look like Amazon or Best Buy and they have deep B2B and B2C e-commerce capability and a strategic ability to dynamically group users for target marketing and promotions. Traditional training management, CRM integration, virtual classrooms (integrated or native), ecommerce, sales tax management, complex CEU management, accreditation body integration are just some of the advanced feature sets available and required to be on this list. There are quite a few organizations that we think are really good in this category. The association LMS space is extremely specialized, and is experiencing explosive growth and innovation. With a cloud LMS, any association of any size or wealth can now support education initiatives with sophisticated learning technology. Selling accredited professional education content to members and managing all related learning activities generates non-dues revenue — and this is big business. Many association LMS vendors entered the space as event planners for annual association trade shows. These events are packed with education sessions that needed to be coordinated, managed and recorded, so vendors started customizing LMSs to fit that precise need. 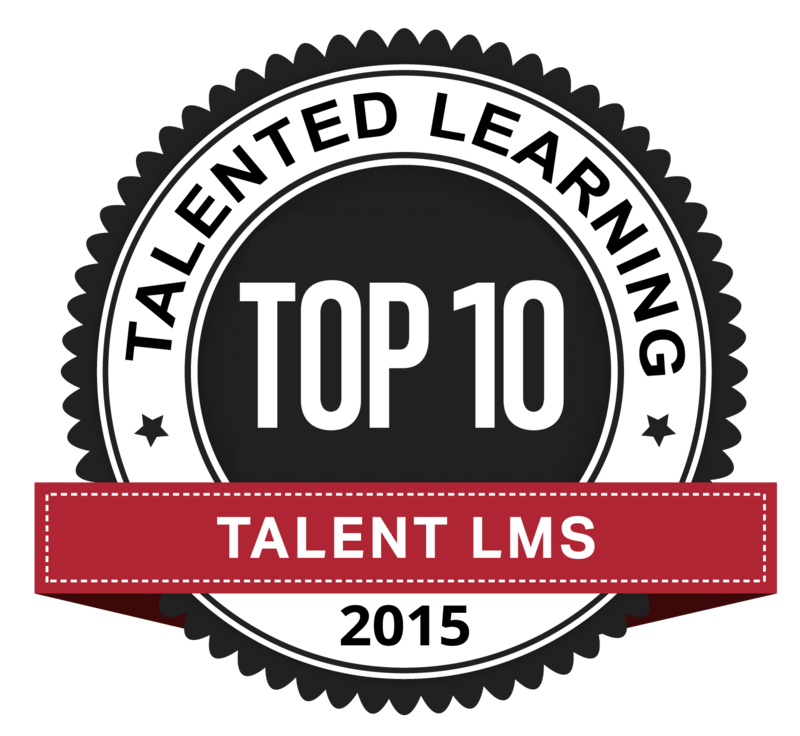 Part of the Talented Learning research process is to follow all LMS vendors on social media. We monitor and read all their posts, content, interviews, research papers and case studies they promote. We attend their webinars. As LMS learning technology bloggers ourselves, we appreciate the work and dedication it takes to crank out good content. Last but not least… An LMS sales job is increasingly difficult especially with the recent explosion in competition. There are so many self-inflicted mistakes salespeople make time and again in the sales process. In our role as analysts and LMS buyer consultants, we get to meet a ton of LMS sales people from around the world and see them sell in action. The best LMS salespeople listen more than they sell, solve problems, are super responsive, excellent writers, better presenters and can navigate a long winding sales cycle. We don’t know if the following salespeople are the best in the world, but they are the best we have encountered. Congratulations to all named winners –you deserve the recognition! The LMS market is thriving, morphing, evolving and expanding into all areas of selling content. This is great news for everyone including buyers, sellers and anyone involved in creating content. Replay the 2015 LMS Awards Ceremony Webinar On Demand! Want to learn more about these vendors, LMS categories and market trends? 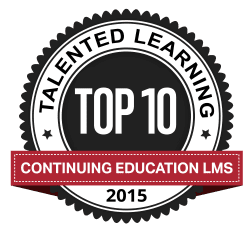 Tune into our webinar recording of our recent 2015 Talented Learning LMS Vendor Awards Ceremony by filling out the form below.